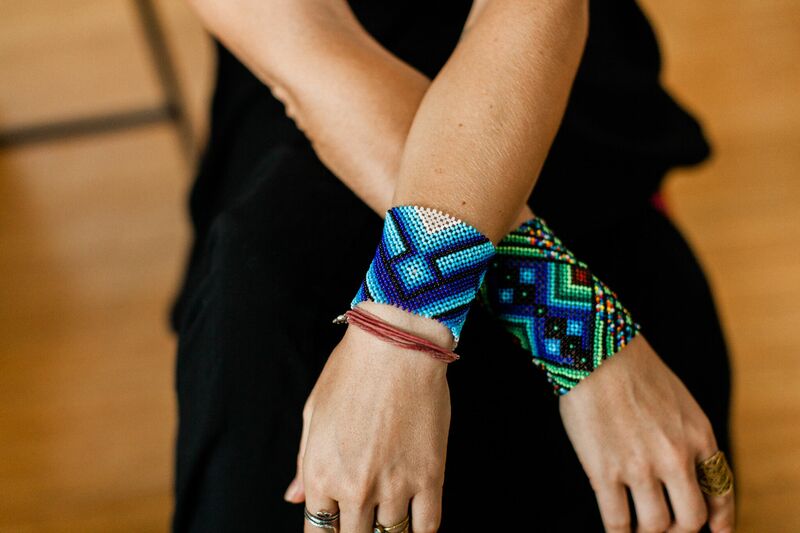 Each Yawanawa bracelet is handmade by women within the tribe requiring over six hours of dedicated work. This bracelet is a bold statement reclaiming your wildness and supporting indigenous people who maintain a strong practice with ayahuasca. 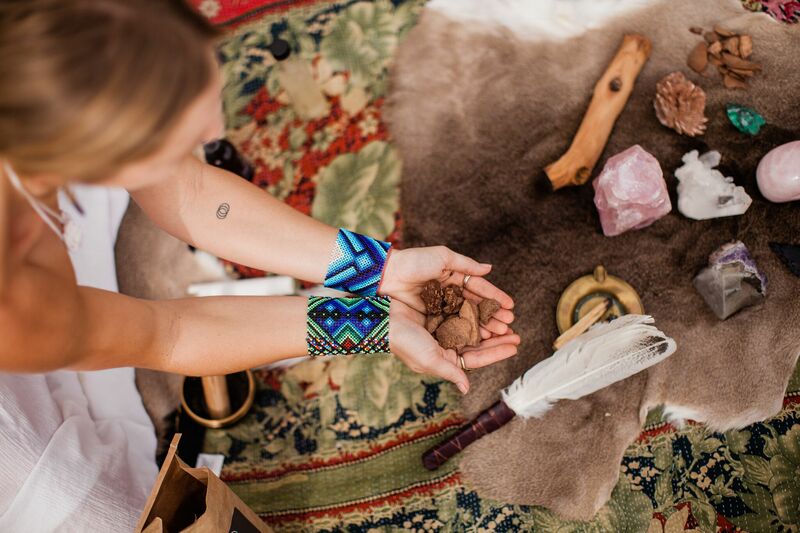 We donate a portion of each purchase to support the tribe directly. Find the unique bracelet that calls to you and wear a daily reminder of your spiritual practice. Click here for sizing instructions. Located 8 hours from cell service and an arduous journey from civilization, the Yawanawa tribe live deep in the jungles of Brazil. Remaining secluded from globalized influence, these people have maintained their relationship to the environment, the plants, and the animals. Part of their relationship to the plant world is through the psychedelic known as ayahuasca. 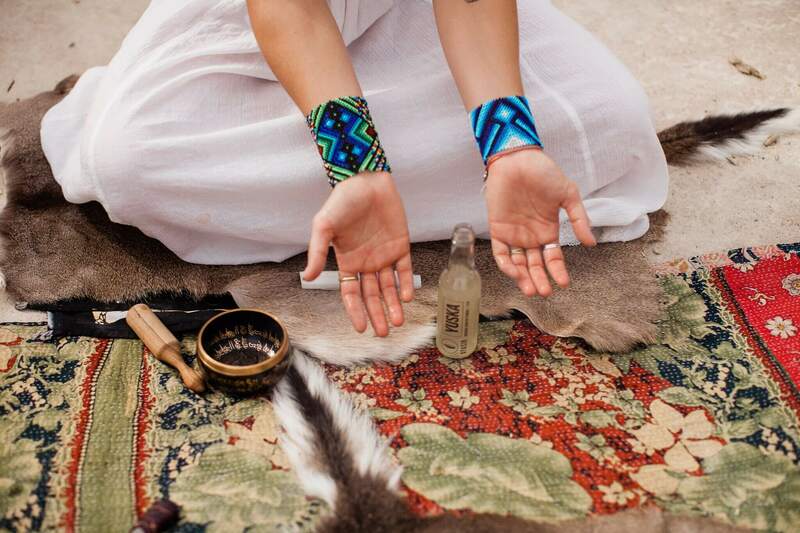 These beautiful handmade bracelets provide you the power to support indigenous women and tribal people. A portion of each purchase goes towards our non-profit work preserving indigenous culture and planting the ayahuasca vine so thousands more people may utilize this healing psychedelic brew from south America. 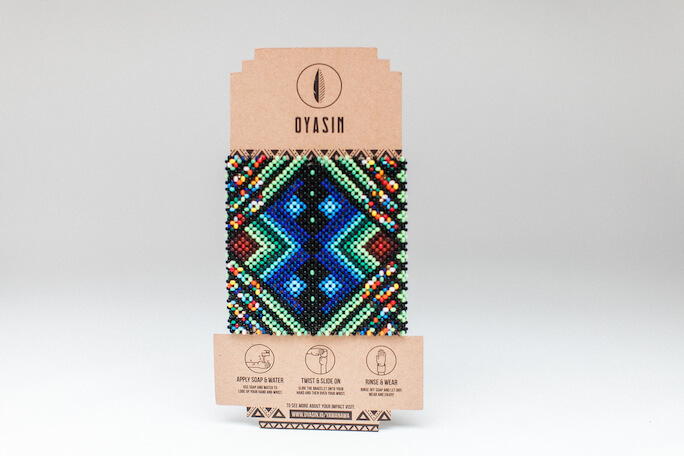 "Each of these bracelets takes women of the Yawanawa tribe about six hours to create and many women are working on a single Oyasin order. When you wear the Yawanawa bracelet it is also a bold statement that brings likeminded individuals to you..."